3BHK Available for rent in Noida Sector-47. 3 Bedroom attached toilets D/R Lobby and modular kitchen available for rent in noida sector-47, Kothi available for Veg family, located at a very good and prime location of noida, clossing to all modern amenities. Available 3 bhk for rent in sec-39 noida.3 bedroom+dining+2 toilet.SE facing.Marble Flooring.Family or girls only. 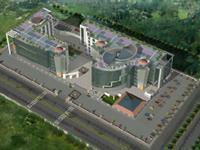 Commercial Office/Space in Sector-62 Noida. Eldeco Inspire Sector 119 Noida.